Here we go again. 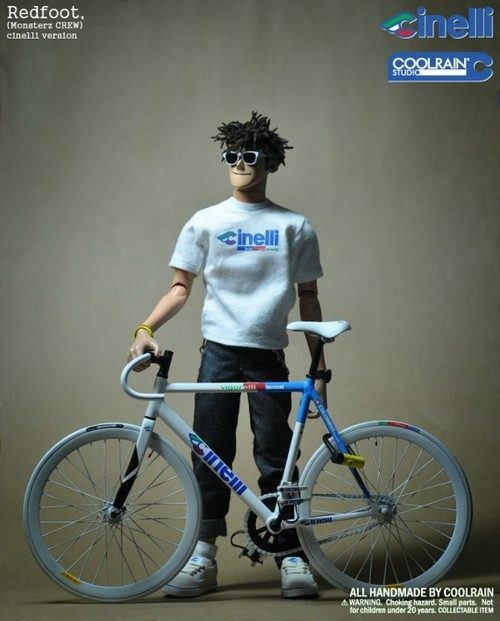 More information on that previous mess with Korean urban vinyl company Coolrain and Cinelli. This time, the collaboration’s official. Urban vinyl is a huge market and so are track bikes. I can see why this will be a smash-hit with a lot of people. I mean, seriously, look at how finely detailed this toy is. He’s even ready for some u-lock justice!